Let me start by saying: I think I’ve started at enough schools for a lifetime now. Starting at a new job – any job – is mind-bogglingly tough. In my first week, I have basically stumbled around the school, finding myself in cupboards as I have managed to repeatedly get lost in what is probably the simplest layout of any school building I have ever been in. Still, having read Ben Newmark’s excellent and useful blog on starting at a new school, I thought I might add my two pence on beginning at a new school as a member of the leadership team. It is basically impossible to lead when you’re not sure where the pens are (true story: I did not think to bring a pen on my first day and had to be bailed out by my incredible Head of Department), but nonetheless I set down some of my learning below. The first time I was a Head of Department, my line manager said: ‘focus on your teaching first. That is always the most important thing.’ Earlier this week, I was in the middle of dealing with an incident ten minutes before teaching, when my Headteacher told me to ‘leave it – teaching is more important.’ Teaching is the heart of every school, and every lesson taught matters. This week I have gone for ‘strict, very strict’ and hope I can ease off a bit as soon as I can trust my classes. Despite constantly being lost and running late as a result, I’ve really wanted to try and make time for everyone who has taken the time to stop by for a chat. As a member of a leadership team, you want to work well with every single person at the school. That first conversation sets the tone, so you have to welcome it. I’ve already had so many fascinating conversations, and hope to have many more. Honestly, the list of stupid questions I have asked has no end. But I think you have to ask them, because sooner or later people will look to you, and you need to be doing things right. I’ve tried my best to find a few different people to lean on, so I’m not bombarding one person with all of these. As a senior leader, you have a massive opportunity to set the direction of the school, and the start is a great opportunity to seize those ‘fresh eyes’ (that don’t last all that long). As the week went on, I kept a ‘wish list’ of things I would change if I could and added to it every time I thought of something. This will be useful for strategizing when I’ve found my feet a little more, and also ensures thinking is more ‘solutions focused’ in terms of ‘what do I want this to look like?’, which is helpful, and not ‘what doesn’t work?’, which is less helpful. You’re not going to change anything if everyone hates you and feels alienated, so I’m in no rush to stomp around changing things. The school already works really well, but we all know there are lots of areas for improvements. Anything I know will be a longer-term structural change will need a lot of planning, starting with building up positive working relationships with all teachers and staff. I’ve leaned really heavily on the SLT and pastoral leads this week because they have the relationships and credibility with the hardest kids. I haven’t let anything go, but I’ve had to knock on a few doors and ask for help more than a few times. I think that’s ok, but I’d love to know what I could have done differently if people have tips! One quick word about commuting, which I have never done in a serious way. The server in the St Pancras Pret a Manger has given me three free coffees this week (and on Tuesday I think also gave me a free lunch somehow), not to mention a huge smile and friendly chat every day. They are the best part of the commute. Yes, that is a formal endorsement of Pret. Overall, the week has been hard – trying to learn loads of kids’ names, loads of adults’ names, and loads of rules, but I’ve absolutely loved it. I’m so excited to be at the Ebbsfleet Academy, working with a group of inspirational teachers and leaders from whom I have so much to learn. The very vast majority of the kids have been warm, polite and welcoming; all of the adults have given generously of their time to help me settle in. 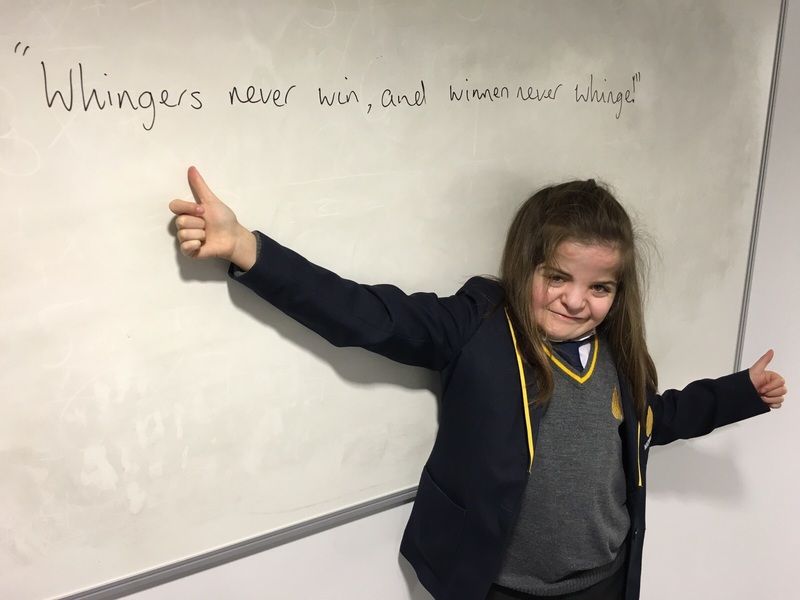 Being a comprehensive school in Kent’s grammar system brings some challenges I have never faced, and I’ll try and write about it as much as possible! I have such a good feeling about 2018. In September 2015, I did not envision where I would be by July 2016. I had just joined a big academy as an Assistant Head. I hoped I would have made some positive changes, changed some minds, and have settled into my job happily. 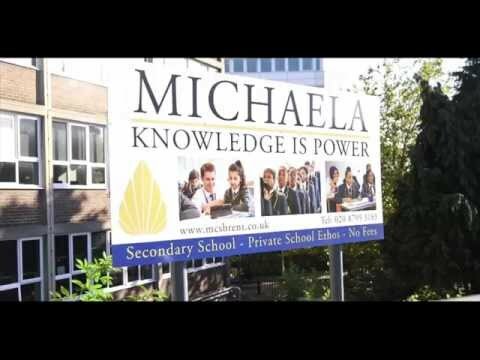 In reality, I left that school after one short (but very happy) term, because I realised that if I missed the chance to join Michaela Community School in its early stages, I would massively regret it for the rest of my life. Do I regret it? Not a jot. But when I think back on this year, the high points are very very different from what I thought they would be. A major high-point has been reading. At Michaela, I get to read constantly. With my classes, I have read Romantic and Victorian poetry, The Aeneid, Julius Caesar, Medea, Macbeth, Frankenstein and Northanger Abbey since January, along with other non-fiction and short extracts. With my tutor group, I’ve read Dracula, Wonder, Gulliver’s Travels, Boy, The Three Musketeers (very much abridged! ), and Gombrich’s A History of the World. Then with reading group, I’ve read The Secret Garden, Farenheit 451, Matilda, Roll of Thunder Hear my Cry, Educating Rita, An Inspector Calls and Pride and Prejudice. I spend the last hour of my day reading with children. There is nothing better in the world. I’ve also found more and more time to read myself, in the evenings and on weekends. Gone are the weekends and evenings of frantic work. Some weekends, I have spent the whole time just reading novel after novel after novel – my idea of paradise! My tutor group have been an absolute highlight. When I was first told I would have a one, I was secretly disappointed. I’d always found it hard to manage a group of children I saw for 15 minutes a day. But having tutor time for 20 minutes in the morning and 30 minutes in the afternoon, coupled with the reading programme, has meant that I have really been able to bond with mine, and after a half term or holiday, it is their faces I long to see on the first day back. They were in terrible habits when I picked them up (and at Michaela, that means they tended to look over their shoulders a lot and whisper when they thought I wasn’t looking – we are very strict! ), but they have really settled into a lovely group of young people who can have a laugh and ‘Slant’ the next second (‘slant’ is our acronym to remind pupils to sit up straight and track the speaker). I’ve improved my teaching immeasurably. I’ve had constant feedback throughout the year. We don’t have strict structures of feedback, so I’ve had feedback from deputy headteachers, other heads of department, teachers and teacher fellows. In a place of no egos, you take advice from everyone, and it makes everyone better at their jobs. I’ve not had a formal observation since joining Michaela, but I (along with every member of staff, including the kitchen and office staff) have had a sit down (with biscuits) with the Headmistress, Katharine, who spent much of the time asking me what she could do to better support me, and if I was happy. I can’t express how amazing it has been to work with the best minds in our profession: I can’t begin to list the things I have learned from my colleagues, in particular Katharine, Katie, Joe, and Jonny. Our debate at City Hall created conversations and challenges, exactly as hoped. We are all writing a book together about the ideas of Michaela, and I’m so proud to be a part of that (do come to our event in November when we launch it!). What feels like hundreds of visitors have come into my classroom since January, some respected colleagues from Twitter, and hearing their comments and challenges has been really helpful for me in thinking over what we do and why. I’ve also had some brilliant exchanges with people on Twitter. Challenge allows me to clarify my thinking, and often to hone and improve what I do. 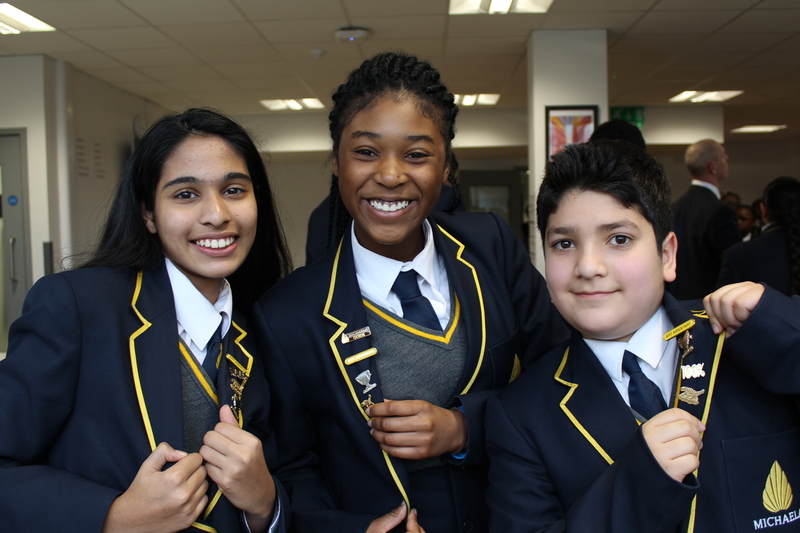 It feels like it is an exciting time to be in education, and Michaela is an exciting place to be. Of course, it has not all been rainbows and sunshine. I’ve lost out on being part of an exciting turn-around school, and I’ve let down the colleagues, and even friends, I made there. I can guarantee I will never be welcome to work for one particular academy chain again. The guilt of that decision has not yet begun to fade. But we can’t expect to make everyone happy when we make a difficult choice. There are new vistas, new horizons, before us, and we’re only at the very beginning. Term 1 at Michaela: what have I learned? For the first two weeks at least, the feedback in my (very frequent) observations was ‘you are going much too slowly. You need to speed up!’ Having worked for over five years in other schools, I’d become adept in the ‘explain it slowly three times and check everyone understands before doing anything,’ and at Michaela that is completely unnecessary – with the expectation for 100% sitting up straight and looking at the teacher, they get it first time, every time. I was also spending far too much time eliciting information the pupils didn’t know – at Michaela, instead we tell them and then check they have learned it. So, if there is a word they haven’t learned I used to say ‘who knows what this word means?’ And if someone got close, try to elicit them to the right answer. Now, I say ‘woe means “intense sadness.” Annotate it on your booklet.’ And then, at the end of the lesson, I ask the class: ‘what does “woe” mean?’, along with the other new words we have encountered. I’ve written at length about how we give feedback to help pupils improve their writing, but for me this was a totally new way of approaching looking at kids’ work. I’ve learned lots about the best way to explain how to improve, and when it is important to show exemplars to clarify trickier concepts. I’ve worked on my ‘warm-strict’ balance. In a school with such strict discipline, it is especially important to explain why you are issuing a demerit or a detention – because you love them, because you want them to learn and succeed, and that issuing such a sanction doesn’t diminish your love for them as a human. I can’t emphasise enough how important it is at Michaela to show your love. Luckily, I’m able to find peace in the realisation that it isn’t about me – it’s about the school. The point isn’t me being brilliant and important, the point is all of us working together in the best way to serve our children. The ego gets in the way – kill it dead. I’ve written before about the intensity of the Michaela school day: no doubt, working at Michaela is hard! The difference is purpose: I’m not doing last-minute marking or planning, I’m not having stressful altercations with recalcitrant children or chasing up a thousand missed detentions: I’m preparing our year 9 units and improving our year 7 and 8 ones. Reading my year 8s essays on Macbeth, who I’d only taught for a month at that point, was an emotional experience. Every single one contained more genuine engagement, impressive analysis, and originality of thought than any other essay on Macbeth I had ever read – including my previous year 13 class. I can’t take a single shred of credit for that, having only just arrived, but again it affirms my purpose: the sky is the limit for what these children can do, and it makes me want to do everything I can to see what is truly possible. Starting at Michaela is unlike any other school I have started at. In the three other schools I have started at, in my first lesson I have introduced myself, told them a bit about myself (especially if I have a position of any clout) and where I’ve worked before (showing them I’m not a newbie and won’t be walked over), stamped my authority on the class as kindly as I could (in particular, showing them I know the behaviour system) and then just done what I do. I’ve taught as I’ve always taught, improving incrementally each year (I hope). In a first week at Michaela, there must be three hundred new things to learn every day. Some examples: all teachers say ‘3-2-1 and slant.’ No child does anything until you say: ‘go.’ Each lesson begins with children handing out books; this takes ten seconds and you count it down. Every second of every lesson is used; routines are meticulous to ensure this happens and everyone uses the routines. This, for me, has been the hardest part: on top of learning 240 names (the expectation is that every teacher knows every child’s name), you’re always thinking about the systems that others have long since automated. It is hard. Behaviour is so good I am having to fine tune my radar. Demerits are given for infringements than at any of my past schools would have gone unnoticed: turning around slightly, leaning over instead of sitting straight or not ‘tracking’ the page or me. Demerits are given publically and quickly: ‘Hayder, that’s a demerit for not tracking. We listen so we can learn.’ And the pupils’ response? So far, for each demerit I have given, pupils have responded by desperately trying to get back into my good books: sitting up straighter, putting their hand up more, writing faster, trying harder. They don’t sulk; they don’t argue back. They want to do the right thing; the demerit is the reminder to meet the sky-high standards. Teaching, something that takes up 59 minutes of every Michaela hour, is a joy. With 100% focus, we get a lot done. I am constantly being given feedback to ‘speed up’ my teaching. Previously, I’ve been told: ‘slow down – they don’t get it.’ I’m starting to think that pupils didn’t ‘get it’ because they weren’t listening. Their behaviour and habits were such that I had to go over and over key concepts to ensure they understood. Every moment is used, and the pupils expect this. On packing up my last reading group of the week at 4:29pm, saying how much I enjoyed reading with them, I noticed no-one had closed their books. One pupil raised their hand and, eyes shining, said: ‘we still have one minute! Can we keep reading?’ A dozen nodding heads agreed. We read on. I’ve been observed a lot – at least once a day, sometimes twice. Sometimes it is someone wandering in the back for five minutes; sometimes they stay for the full hour, usually bringing their own work to get on with at the same time. 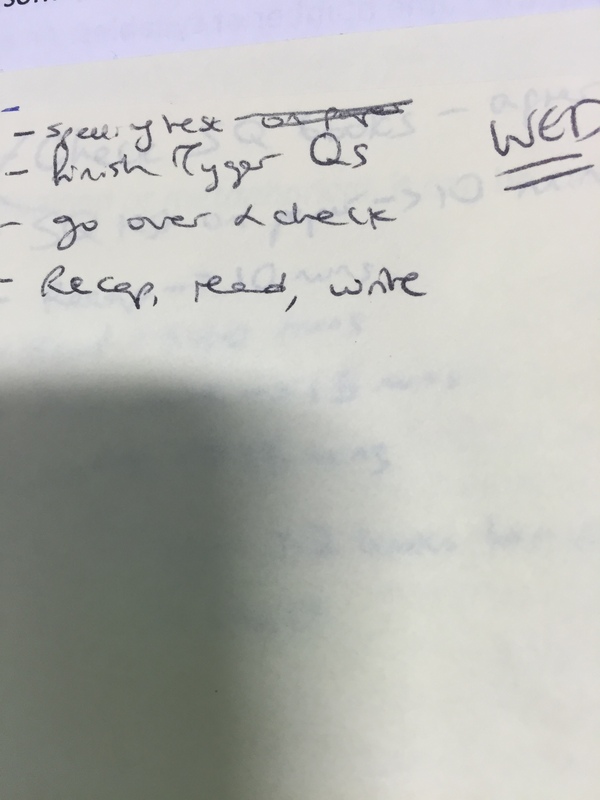 I’m given written feedback immediately, meaning I can put it into practice in the next hour. There are no grades. There are two, maybe three, small action points (‘narrate when you give a merit.’ ‘When you parse the sentence, start with the nouns and verbs, not the first word.’ ‘Don’t ask them an open question they can’t answer.’ ‘Don’t say “we shouldn’t be.” Say “We don’t.” Should suggests people are going to defy that expectation.’) The feedback has felt incredibly supportive. What has also felt incredibly supportive is the response of the pupils. On my first day, children were thanking me for my lesson with beaming grins as they exited. Then came family lunch, where I sat with pupils whose names I could not remember, as they told me how much they were enjoying poetry. By the end of the week, pupils I taught were telling me: ‘my friend thinks you’re a great form tutor.’ I have never had such positive feedback in my life, and it makes me love each lesson all the more. At one moment on Wednesday, I looked at the clock: 12:20pm, ten minutes to lunch, and I actually felt sad. I felt a deep sadness that my lesson was nearly over. I desperately wanted to keep going. Similarly, on Thursday evening, I asked my other half if it was ‘Thursday or Friday tomorrow?’ He looked bemused: ‘Friday!’ It didn’t feel like the end of the week. Even this first week, which has to be the toughest, I could have kept going. Teachers work hard at Michaela. We teach intensely, making every moment count. We have lots of duties, maximising the time we are with pupils. We are reminded to engage the pupils at break time and lunch time: they are our top priority. We have lunch together every day, talking and chatting with them. And yet teachers do not work late: the work is intense, but manageable; with pre-planned resources, my own ‘planning’ can be done on half a post-it note, and most of that is reminding me to give the books out. What has surprised me most? The noise. It can be loud. If more than half the class have their hands up to give you a one-word answer (‘what poetic technique is this?’), you get a choral response: ‘one two three:’ ‘ALLITERATION!’ Thirty-two children shouting an answer is loud. This happens several times in everyone’s lessons. Lining up ready for lunch, children are chanting poems they have learned by heart, speeches, times tables or subject chants, in unison. It is loud. They love it. The looks on their faces are joyful to behold. These are normal kids. But they are exceptional. And at Michaela, a normal teacher like me can begin to feel exceptional too. Perhaps I ought to have begun with teaching. Two years ago, I probably would have done. The primacy of teaching then for me was that it was the everything: in a school with no schemes of work and no curriculum plan, part of my teaching was choosing my curriculum and then assessing whether I had effectively taught it. Now, I’ve moved schools, and seen the benefits of a more stratified approach. All students learning the same curriculum, with the proviso that it be high-quality, is surely more equitable and manageable. I wouldn’t want my children learning Skellig if the folks next door were tackling Oliver Twist. Why is this book so good? Because it tells you what other books won’t. This book tells you the nitty gritty practicality of how you should set your classroom up and then what you do in it in order for learning to occur. You don’t go to a book like this for vision and broad strokes, although those too are present; you go to Lemov for practical guidance. This book is the awesome mentor you might not be lucky enough to have in your early teaching years; the fantastic coach you almost certainly will not have in later years of teaching. I first encountered this book in a lukewarm Guardian article, and decided to give it a miss. A few weeks later, a respected colleague from an ARK school called me up, telling me something had completely changed her practice, and it was this book. I’m so glad I listened to my friend and not the Guardian. Why does TLAC work so well? 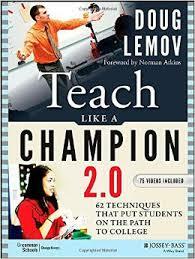 Lemov has painstakingly observed hundreds of teachers at work, (“there is no gap that has not been closed already by some teacher somewhere”) and has drilled down into what they do to be effective in their classrooms. The results are distilled into manageable actions anyone can take, with examples you can watch on an accompanying DVD. They’re not quick-fixes; they’re not gimmicks. They are habits which, if embedded, will change the amount your students learn and want to learn from you. Lemov notes that “perhaps the most salient characteristic of a great teacher is her ability to recognize the difference between ‘I taught it’ and ‘they learned it.’” Too often, I find myself despairing that students still cannot embed quotations and analyse language, given how many times I have taught it. Lemov reminds me that there is always a tweak; always a way I can improve my practice. Yet for methods such as these to be truly effective, we must create what Lemov terms a “Culture of Error” in our classrooms – less ironic than it sounds, this means students need to be willing to “share their struggles, mistakes, and errors” so teachers “spend less time and energy hunting for them and more time fixing and learning from them”. This might seem like overly broad brush advice, but Lemov follows this up with precise examples of how to do this, which include narrating growth, celebrating improvement, and praising struggle (“great question!”). On structuring a lesson, I can’t think of a simpler or more easily applicable method than Lemov’s “I do, we do, you do”: therein lies lesson planning. Firstly, the teacher models. Then, the class practises together. Finally, students practise independently. Peppered in this structure you can have your cold-calling; your “Turn and Talk” (a much nicer way of saying “pair share” to my mind, rolling, as it does, so much more easily from the tongue: “turn and talk to your partner about…”). One of the most helpful additions to the new edition of TLAC is the section on reading, which I have revisited more than any other this year – again, full of useful tips on how to encourage students when reading aloud in class, explained in lucid detail and with helpful examples. As frequently thumbed in my own copy is the section on managing behaviour. Lemov’s overarching idea of making the “least invasive intervention” has changed the dynamic in my most challenging groups. Helpfully, he details examples of these interventions: positive group correction (“I need to see everybody writing”), anonymous individual correction (“I need two more sets of eyes”), private individual correction (quietly, one to one, with the student in question), lightning-quick public correction (always followed up by praise). For those who fear that the outcome of these techniques is the creation of tiny obedient robots, Lemov reminds us all to “seek not only to be both warm and strict but often to be both at exactly the same time.” We must be strict, and never excuse poor behaviour; yet just as imperative is to be warm and kind, and love our charges, infusing our corrections with reminders of this love. To go on further would run the risk of plagiarism. In my view, to summarise, this is the book on teaching. So far, I’ve explored curriculum and assessment, two aspects of education which are inextricably linked. The final two posts will be on leadership and ethos. I’d always simply assumed that emotions were a good thing in the school setting. After all, I’ve built my “teaching persona” around my genuine emotions: I love the students, and teaching makes me happy; I am always my best teacher when I project this happiness and love into my classroom. But there are obvious downsides to such an approach. When you love your students, does this make it harder when they let you down? When you love your students, and they do something terrible, unspeakable, outside school, does it become less easy to be their advocate in the classroom? When you love your students and they shout and swear at you, do we leave ourselves open to feeling a deeper swathe of negative emotion? And what is the impact of this emotion on the rest of the classes we teach that day? And then there is anger. It has been a long time since I have heard real bellowing at a class or child, but I can’t help but shrink from the idea of it. The school where I trained was explicitly “no shouting” – that was rule number one. But it didn’t mean it didn’t happen. And I’ve heard it said that shouting and anger are fine, except when the emotion behind this is real, because then you’ve “lost it”, and that’s never ok.
I’m not so sure I agree. See, I don’t find anger a helpful emotion in a school setting. I’ve definitely had to suppress my anger, sometimes weekly, but I can’t see a time when to express this emotion would be helpful for the settings I’m working in. If a class won’t listen, why raise the volume? If you are angry, why not stay calm, and discuss the issues? Then there’s anger directed at teachers from other teachers. Surely there is never a place for this. We’ve probably all been at the receiving end of some anger. When it occurs, it does make me consider: has this emotional response helped me be better at my job? Has this anger made me more likely to want to help you, or to change my behaviour or choices in the way you would like? We are professionals in a work environment; surely a better response would be supportive, considerate; searching not blaming, asking not demanding. I don’t believe it is possible to motivate teachers with anger. Now, I’ve caught myself telling students I’m “disappointed” in them. Doug Lemov points out how unhelpful this is: when we make our responses more about us than our students, they are unlikely to change behaviour; the typical student will simply shrug it off (“oh, how unfortunate for you Miss that you are disappointed. I still don’t care”). Far better to remind students of the purpose of their learning, and the path they need to be on, and push it back to them. A colleague once told me a story about leaving her first teaching job many years ago. On going to the Principal to hand in her notice, she was told that she was a “disappointment”; that she was “letting the school and the children down”. Similarly, what does this emotion achieve? Does this make it more likely for someone to change their mind? When I went to my first Headteacher to say I was thinking about leaving, she listened to my concerns, and calmly asked me what she could do to make me happier in my work at that school. She then told me a story about how she became a teacher (something I will write about in the future with her blessing), and played into my strong sense of mission. I left that office feeling ten feet tall; a soldier in the war against educational disadvantage, following in the footsteps of a colossal educator. I did not seek another opportunity that year. So is it best to leave emotion at the school gates? Are we stronger and more purposeful educators without it? And then I come back to love. Because on those hardest of hard days, when all the class is against you, and colleagues are filled with frustration, and you wonder if you might just retire to a cubicle in an accountancy firm where no humans will ever disturb your placidity again, it comes right back to love. This is the driving emotion that brings us back to the classroom, back to focusing on the learning, back to putting in the extra emotional effort that strong behaviour management can often require. On those days of rawest emotion, the remedy for me is to remember my students, close my door, and teach them – with love. There are some students who storm into your teaching life, and you know immediately: they’re going to be fine. They will have issues and problems and troubles, of course; they will have tantrums and bad days and choice words used at the wrong time, of course; they will miss detentions and not read enough and worry about you calling home, of course. But they will be fine. By “fine”, of course, I mean, they won’t have any problems reaching the C-grade we teach them to dream of. They’ll almost certainly achieve B grades. You’ll spend your teaching time trying to stretch them towards the A grades; reminding them that you can’t give them the answers, trying to make them become independent thinkers. I’m not saying those students are easy. But they will be fine, in the sense that there is no scenario in which they won’t be picking up a string of B to A grades at GCSE with the odd C (bad day? ), and dancing on to sixth form, followed by university. And then there are these kids. I’m not sure why they’re so behind, because we’ve had them in our year 7, 8 and 9 classes and done a bit of huffing and sighing because they don’t seem to be anywhere near a level 5 for three years of trying; in fact, for three years of trying they seem to be stuck on the same level they came to us on. And while we know that’s not good enough, what did we do? With the best of intentions, we “tried our best”, which means we did more when we could, and when we couldn’t, we felt guilty, because we teach six classes English four times a week, and there are only so many hours in the day, and we’re teachers so we work all of them. No-one was filing their nails when they could have been helping these kids. So, we’re not sure what happened, but here they are: in some crucial year group, languishing at the very bottom of the scale. Except they’re often not here; so often are they excluded or kept out of lessons or bunking in the toilets or bunking at home or genuinely sick but sick so much of the time you’re not sure they even have an immune system. I once sat at a parents evening waiting for these kids. It seemed as if every “fine” child in the year group had turned up, while “these kids” hadn’t. Where were they? Would I ever know? And I would call the next day, and not get any answer, or leave a message that wouldn’t be returned, or hear an incorrect number tone. And you know, there aren’t many of these kids. In fact, they’re an incredibly tiny number, and an infinitesimally small proportion of what will be our A-C achievement that will judge us as a school. So what can we do? And if we do nothing, will anyone notice? After that parents evening, I came home devastated. I couldn’t get through to “these kids”, I couldn’t get through to their parents, I couldn’t get anyone else to care as caring too much with “these kids” will only end in hopelessness. These kids are doomed. They turn up in year 7 with nothing; they leave in year 11 with nothing. The next day, I went to visit the new teacher. It was Friday, period 6, and I’d just spent the previous lesson with some of these kids. Not too many; two were sick, one was AWOL, one excluded, and another suspiciously in school for all the other lessons that day. During the lesson, we’d practised listening to others without speaking, we’d learned that board markers shouldn’t be used on school property, and we’d been reminded that we definitely don’t throw our property across the room, and definitely definitely not at another student. And then, in the new teacher’s classroom, there was calm, focused endeavour. Those children were all on the right path, hurtling ahead, doing the right thing without question. Because the new teacher had set up her classroom to ensure that all would achieve, and she was reinforcing those expectations, and she was firmly challenging them to do better, and they were internalizing her messages, her belief, her expertise. So I have to do better by these kids. I have to transform my classroom. They have to want to be there, and their parents have to want to take my call, because what I will say will be meaningful. I have to learn from the new teacher, who gives me great hope that what happens in the classroom can make all the difference for these kids. I have to hope my classroom can start to be enough.